In case you missed it, earlier this week, a writer friend, Josh Mosey, hosted me on his blog. 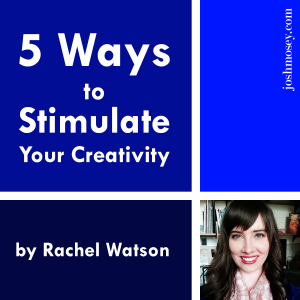 I wrote on the topic of giving your creativity a little lift when the well is running dry. Make sure you go check out the post at his site, joshmosey.wordpress.com. Sneak peak: I talk about one of my new favorite hobbies that has nothing to do with words and lots to do with creativity. You'll want in on it.